And he's planning to buy even MORE! Just when you were probably getting sick of hearing about Floyd Mayweather’s incredible car collection, we get news that the champion boxer has just purchased two spectacular new rides. 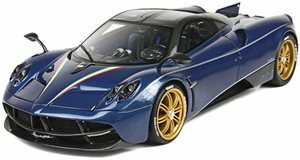 On the heels of recently acquiring an extremely limited $4.8 million Koenigsegg CCXR Trevita, Mayweather has now acquired a $3.2 million Pagani Huayra and a $3.3 million Aston Martin One-77. 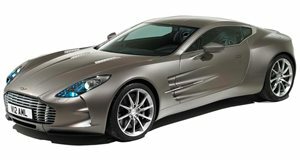 As the name implies, the One-77 is limited to 77 units; only 3 of which are in the United States and one of which now belongs to Floyd. According to Mayweather’s personal car broker, Obi Okeke of Fusion Luxury Motors, the champ’s new car purchases are part of a strategy to double the value of his car collection. Okeke was quoted in an interview with TMZ Sports and stated that, "Floyd's car collection is worth about $16 million right now and he wants to push it up to $30 million, and the biggest challenge for me is to find him very special unique cars. So these two cars I've been working on getting for a while and they showed up in my showroom yesterday." We look forward to seeing what else Mayweather adds to his increasingly awesome car collection.